The Sundarban area witnesses a lot of dropouts especially after the students complete their Secondary level making themselves a burden for the society. JGVK , has adopted a special kind of insurance programme insuring education after the students pass their Secondary level. The students, along with the help from JGVK, starts saving their money and after a certain time, they get it back which includes 50% share from JGVK. Also it ensures the protection of the environment through various programmes and activities by involving the students into the programme. JGVK is running the Education and Environment Insurance programme at 6 schools in this area. The list of the schools are provided in the table below. Plant saplings were distributed among the students of Save Education and Environment. Awareness camps on Disaster Management were organized in the schools. 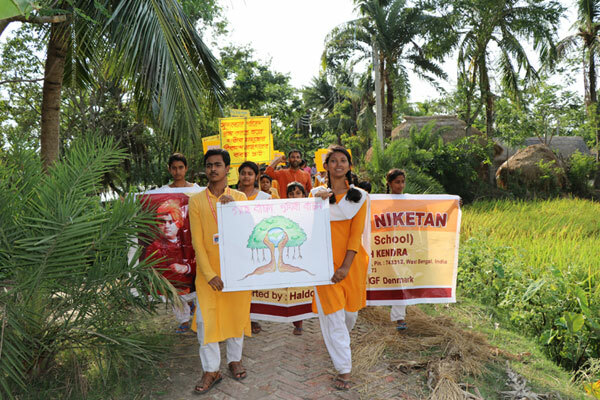 About 150 plant saplings were distributed to 150 students of Vivekananda Shiksha Niketan, Jyotishpur High School and Sundarban High School. 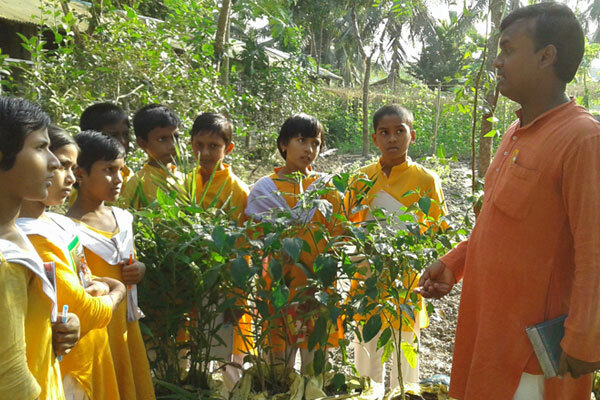 The students of Kalidanga High School distributed 40 plant saplings. Through this programme of Education and Environment Insurance, JGVK is trying to reduce the rate of dropout in the Sundarban area. This approach helps the economically poor students to continue with their studies and later on pursue higher studies with their savings. The students will not have to depend on their poor parents for pursuing their studies. On the other hand, the programme gives equal importance in protection of the environment by adopting several activities like plantation, distribution of saplings, playing drama on environment related issues for awareness generation, etc.